Spoilers! Agents of S.H.I.E.L.D. contains PG-13 level content. If you need a recap of Tuesday's episode, find it here. ★ The many references to Civil War. While a bit heavy-handed, they still made me laugh. ★ Getting an appearance from the Kree. Even though they looked like your basic burly man covered in blue paint, they were still a fearsome sight to see. ★ The random new S.H.I.E.L.D. agents who actually had names and lines in this episode. They kind of came out of nowhere, but at the same time, it makes sense that Coulson has other agents beyond our core characters. I especially liked the girl with the rocket launcher--Piper, I think. And word has it she also had a run on a similar show recently: Supergirl. ★ The emotional stakes, which were so high this episode. It made me super nervous, and it reminded me of the first two seasons of Agents of S.H.I.E.L.D. where I was terrified for all my favorite characters and/or crying my eyes out. The thing that affected me the most was Daisy's plan to rip out her teammate's hearts, as well as her resolve to... drain her own blood?! ★ When Hive's experiment accidentally melted the Hydra people's faces. I'm not usually too squeamish, but... man. That seemed like it belonged on an episode of Breaking Bad. ★ Lincoln... dude. Take a chill pill. It's seriously very admirable what he's doing for Daisy. I just don't have enough emotional investment in his relationship with her for me to see it as a good decision. Instead, it just seemed like a horrible one. ★ With the flash forward a couple of weeks ago, Agents of S.H.I.E.L.D. has been hinting about a character death for a while, especially in their promotion. I kind of wish we didn't know that someone is going to die in the season finale. It feels too much like The Walking Dead's tactic of hyping up a character death (which then was a major letdown in my opinion). If there's going to be a death, I'd rather not know about it. At the same time, the anticipation is driving me up the wall, so it's at least an effective method of keeping us at the edge of our seats. ★ Last but certainly not least, the Daisy/Mack showdown. Goodbye, my heart is broken forever. Daisy: "Sometimes the world's greatest miracles happen by accident." May: "Was that a spaceship?" Coulson: "It's too small. Looks like more of a satellite." Mack: "Why am I not relieved?" This was a seriously solid episode, and it made me excited about where Agents of S.H.I.E.L.D. is going to take us. The next episode is the last one before the two hour season finale. 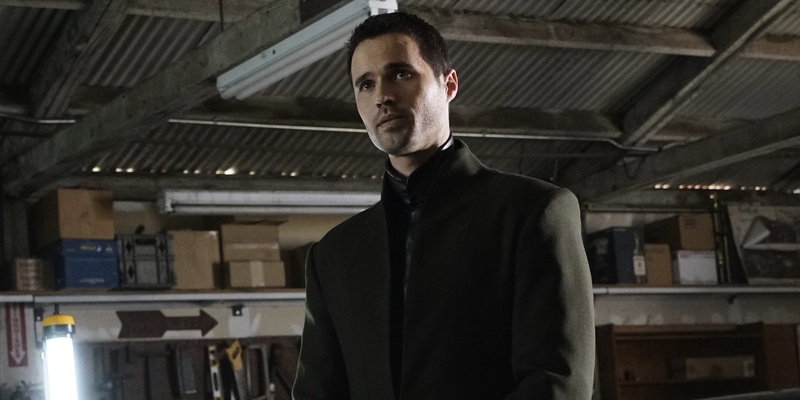 As we approach the end of season 3, it's clear that Agents of S.H.I.E.L.D. is only headed up (and towards awful and inevitable heartbreak, probably). Have you seen "Failed Experiments"? What did you think about it? Who do you think will be the one to die?